Conjuring images of magic carpets in faraway lands and Moroccan lanterns, the Baroque style window found in the Hy-Lite® Home Designer Collection continues to be a favorite with builders, architects and homeowners. After the launch of the window in 2015, requests for the Baroque decorative glass privacy window have grown steadily. The dramatic, show-stopping Baroque design was inspired by input from the original members of the Hy-Lite Designer Advisory Council. "It was clear right from the start that this style was popular with all of the designers," says Laura Sikes, marketing and national accounts manager for Hy-Lite, a U.S. Block Windows Company. "The geometric pattern and stylish flare truly spoke to them." Working with feedback from the designers, Sikes herself created the pattern for the window. She reviewed similar types of Moravian patterns found in tiles, rugs and curtains before creating the design for Hy-Lite's Baroque windows. "It was a painstaking process to create the blueprint on my Adobe Illustrator program," says Sikes. "I finalized the drawing and then repeated it five across, since odd numbers are more appealing in designs than even ones. "Once the pattern was created we went back to our design council and shared it with them. They overwhelming supported the depiction and we moved into production of the windows." Just a month after launching the Home Designer Collection, the Baroque style proved a clear winner. Initial sales were twice as strong for the window style as others introduced in the same collection (including Metro, Mission and Prairie). 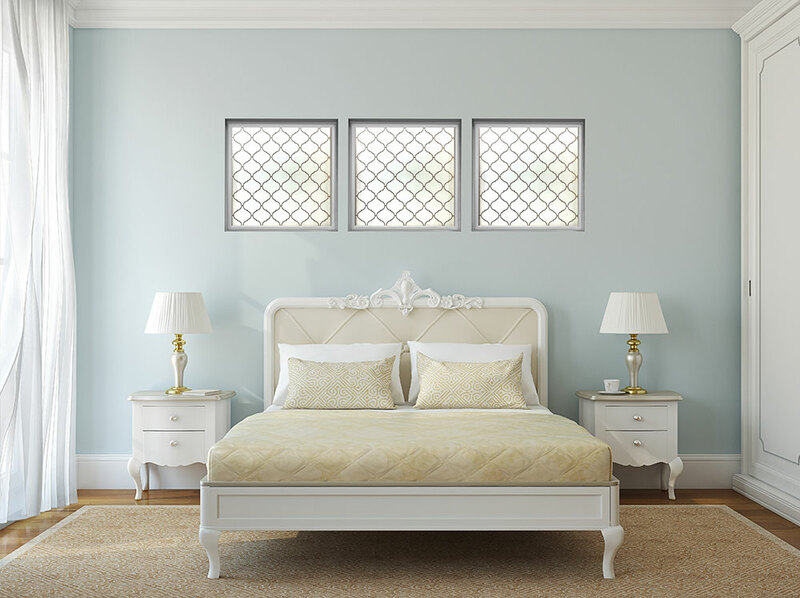 "Baroque remains our most popular choice of privacy windows by our homebuyers," says Erin Riley, design director for Westin Homes. "The style of this privacy window appeals to a very broad audience and helps buyers customize their homes to set themselves apart in a neighborhood. "We're pleased to offer this type of unique privacy window. Most homeowners are shocked that windows with this much style are available for such a reasonable price. The windows are an outrageous deal." Silkscreened tempered privacy glass with clear lines creates the memorable Baroque design, while textured exterior privacy glass provides seclusion. The window is available in 48" x 48" and 36" x 60" sizes and available for sale online or through Hy-Lite Dealers.